Let’s join in the openning ORLANDO. An exhibition in the historical archive of the COAC, Barcelona, Spain. 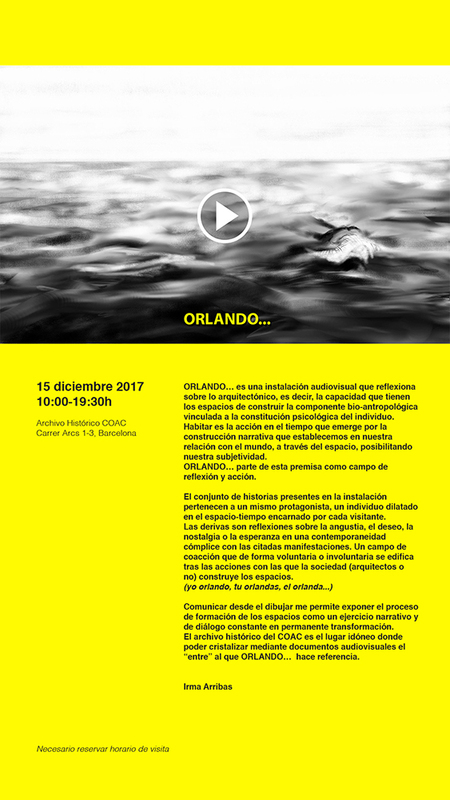 The work exhibit is the result of a grant for research and innovation in the fields of visual arts, new creative sectors, performing arts, music and thought, thanks to the “Generalitat de Cataluña”.